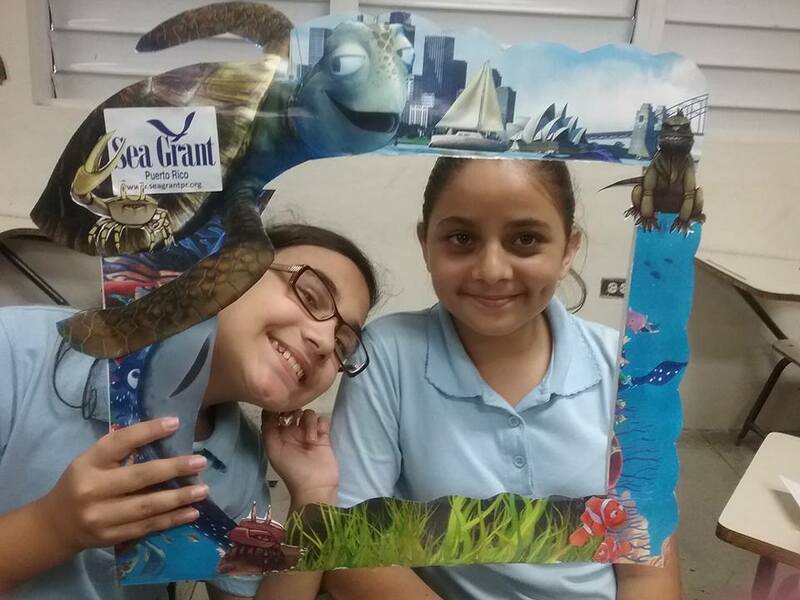 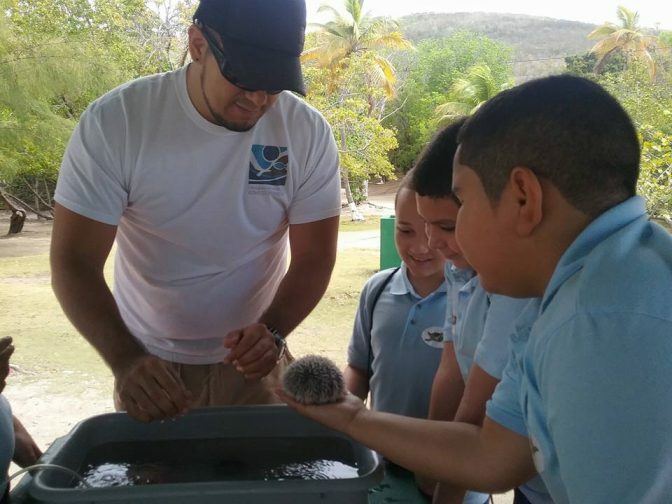 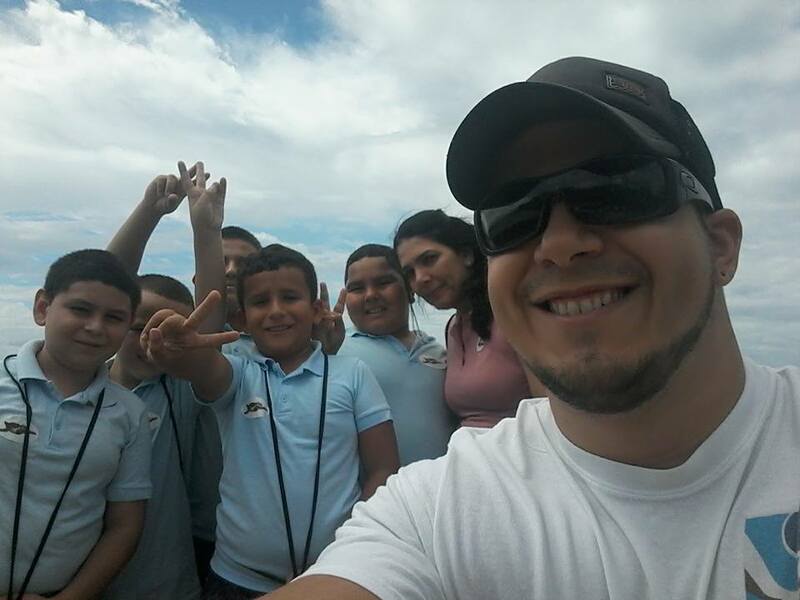 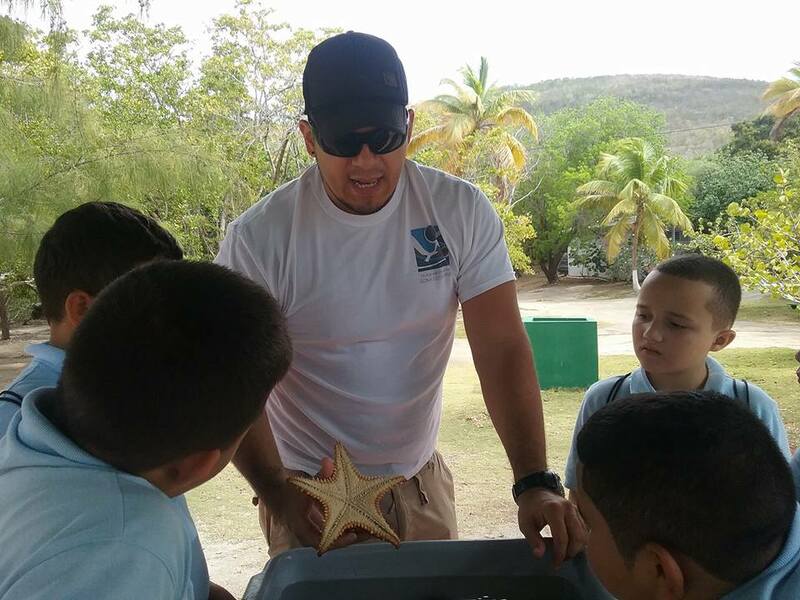 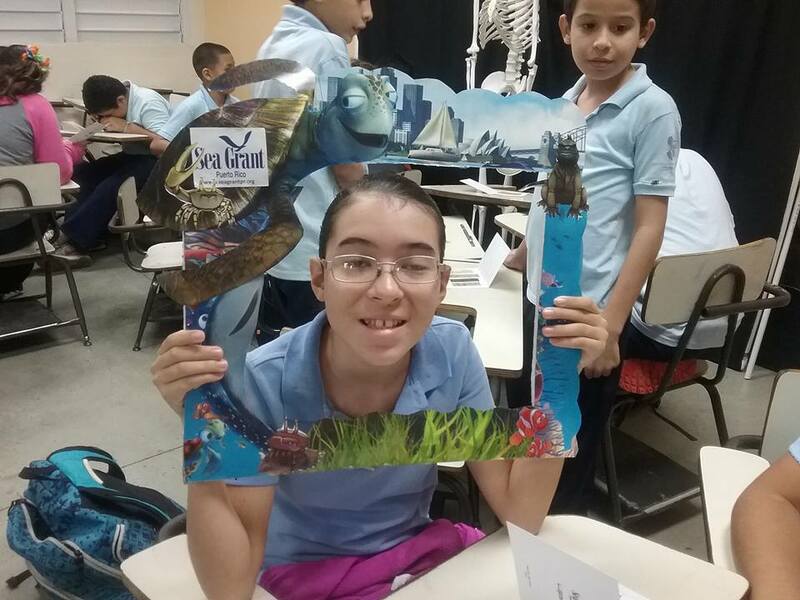 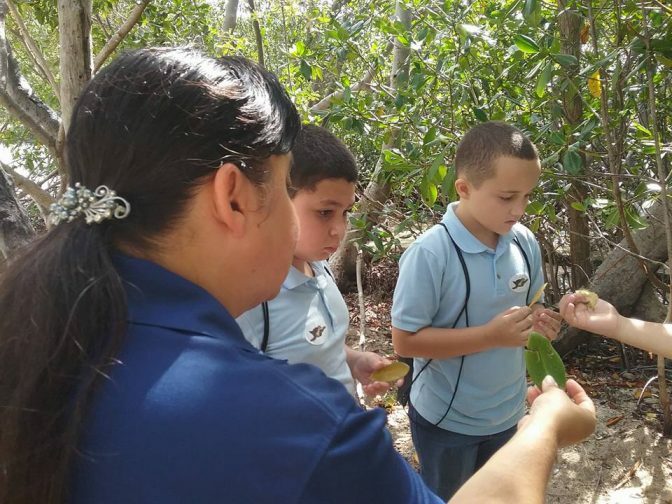 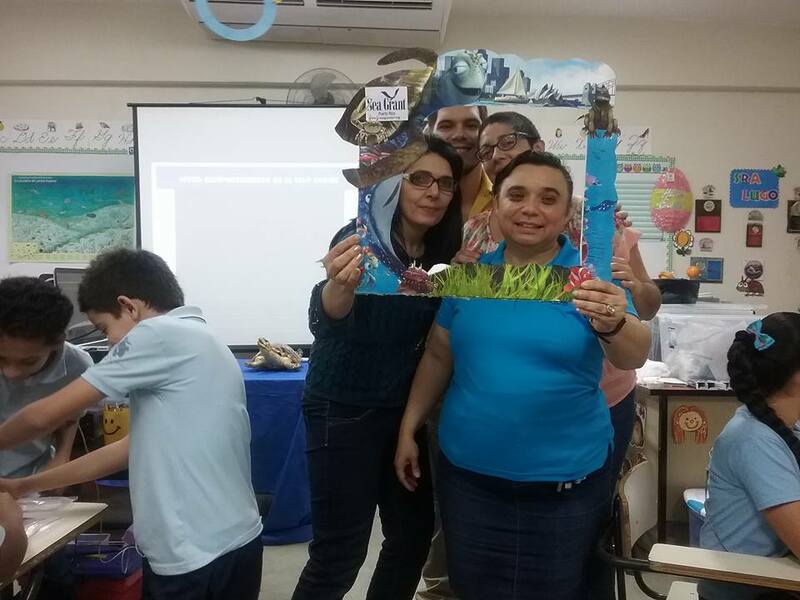 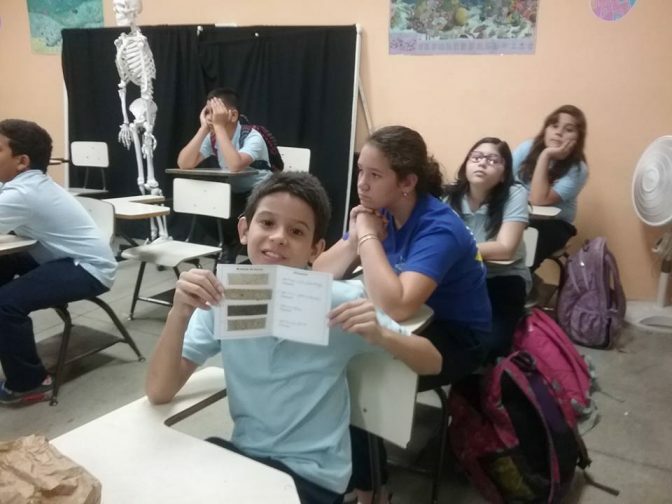 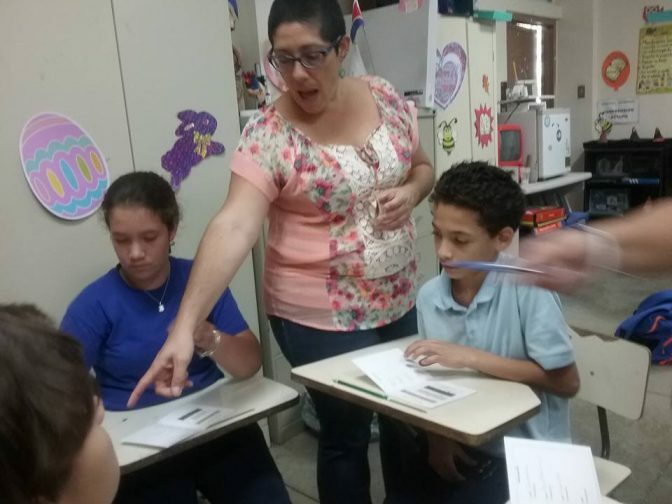 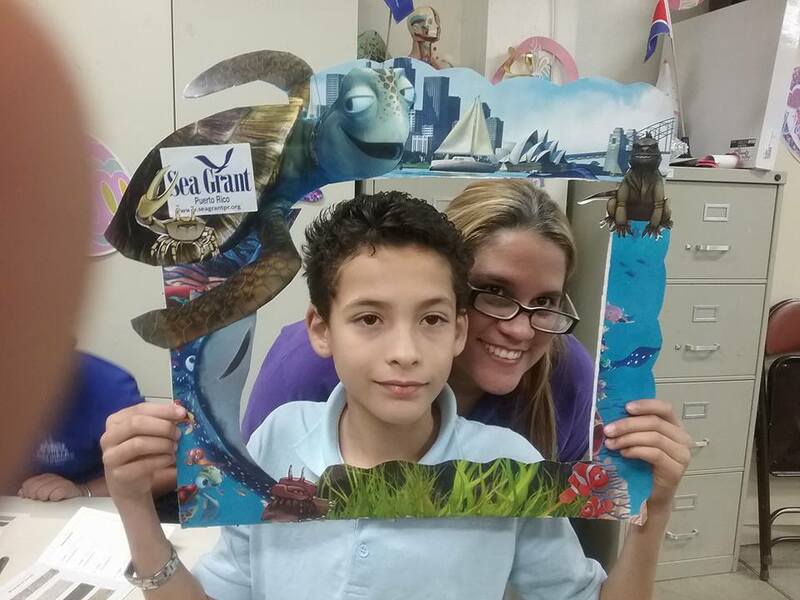 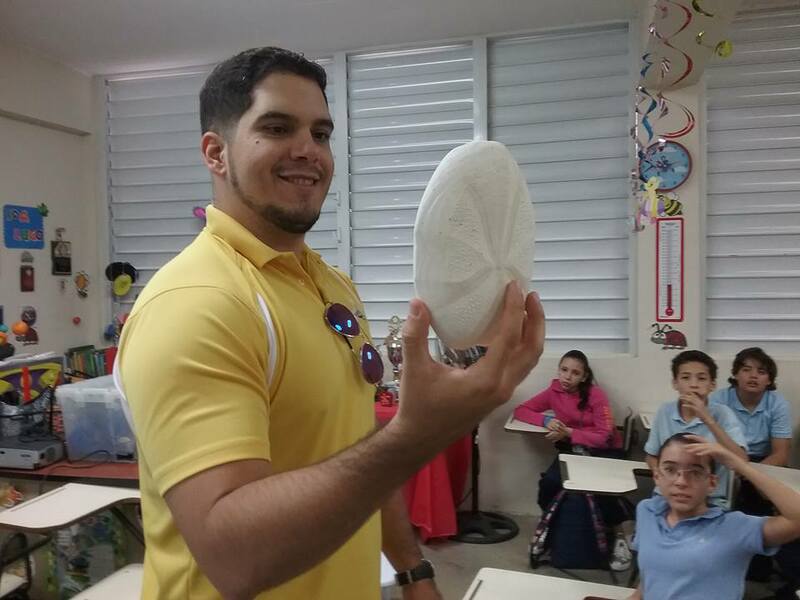 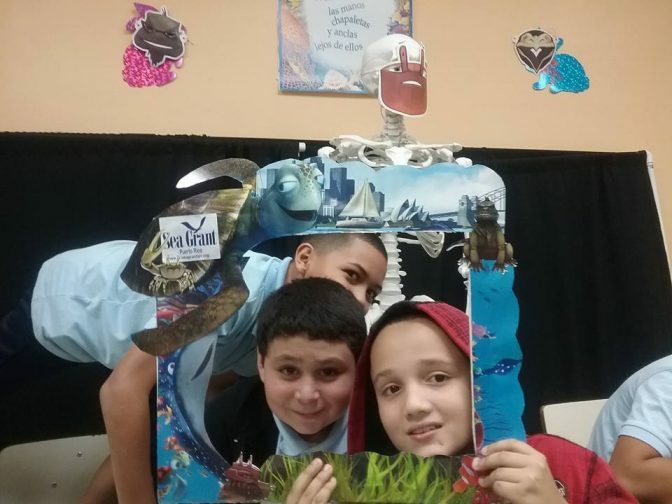 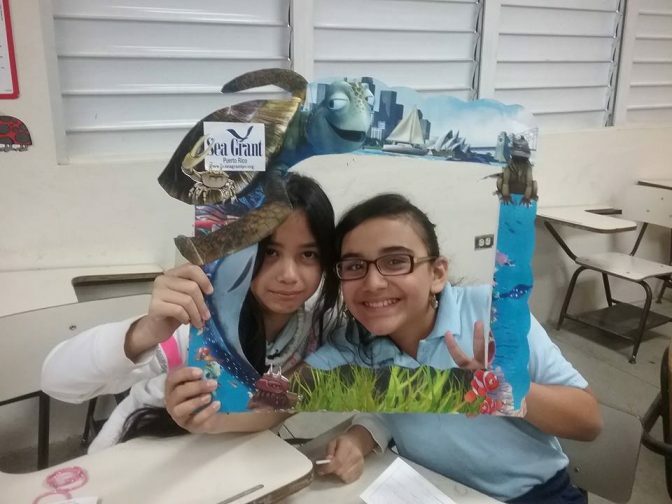 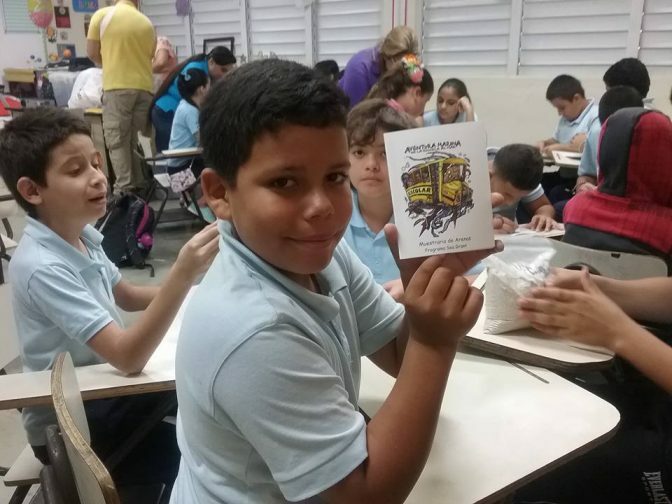 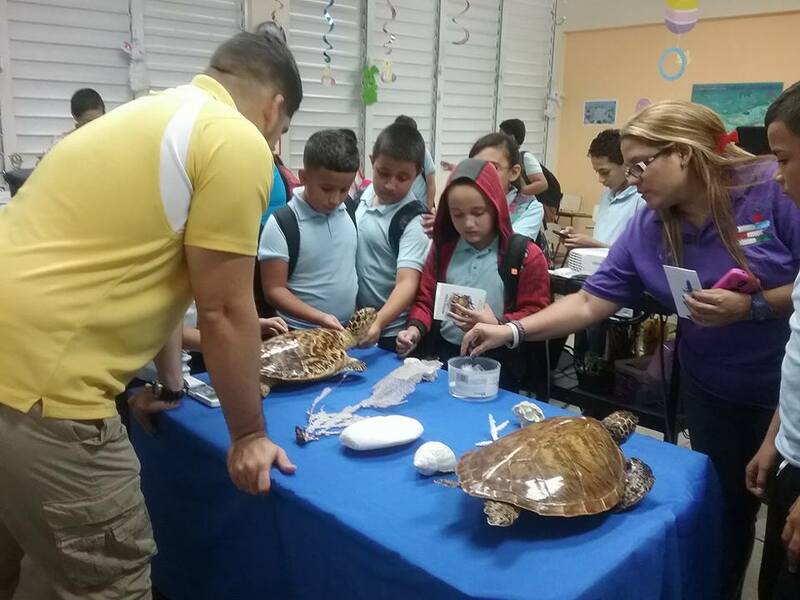 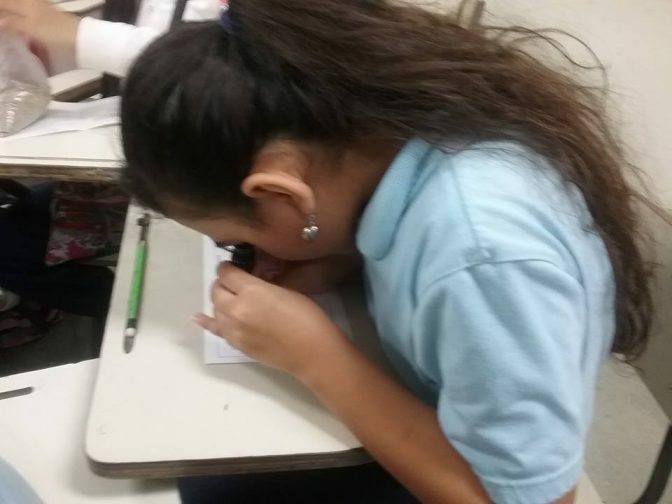 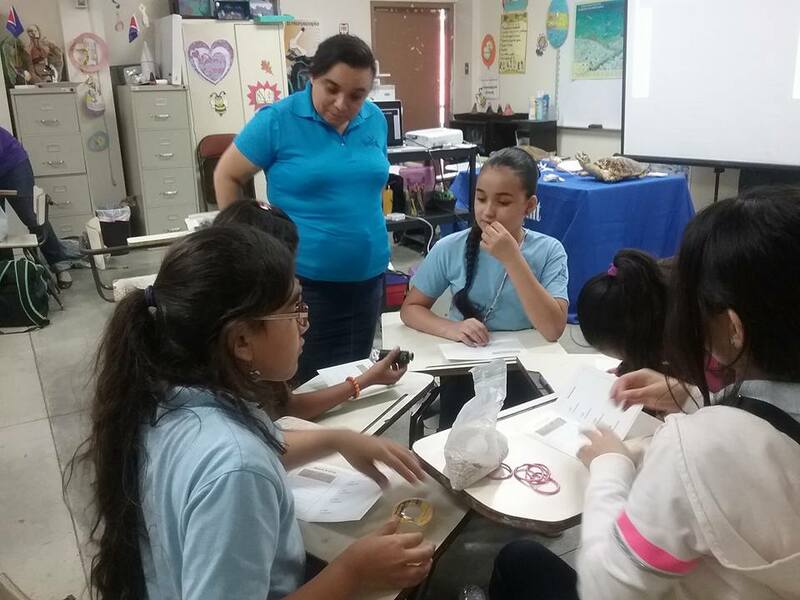 The next school to receive our visit was the James Garfield Elementary School in Cabo Rojo. 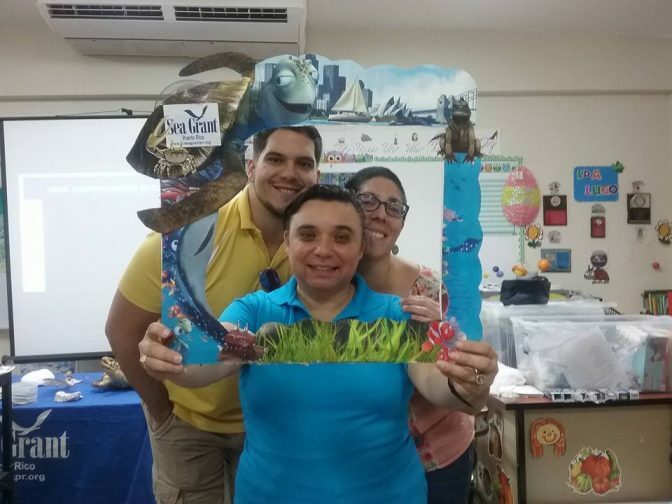 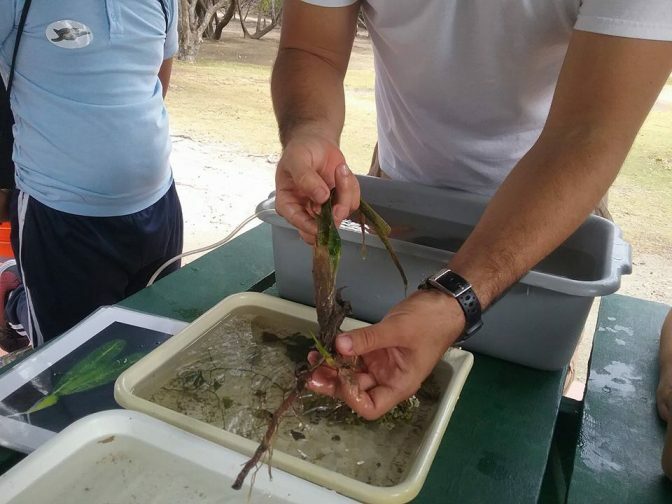 We arrived there on March 1st, 2016 to teach Prof. Jadex Lugo’s class about the marine ecosystems comprised by the mangrove forests, seagrass beds and coral reefs. 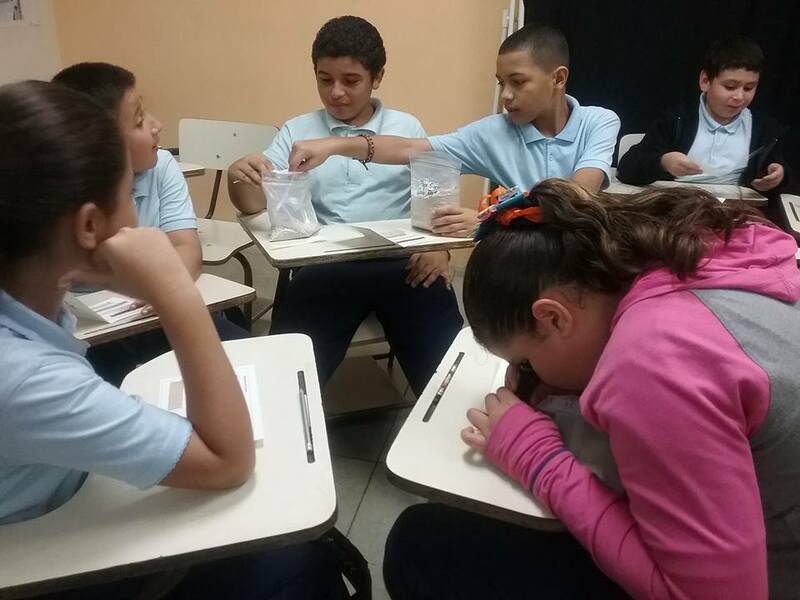 The teacher had already begun teaching the subject and had previously read Pepe Uca’s Treasure in class. 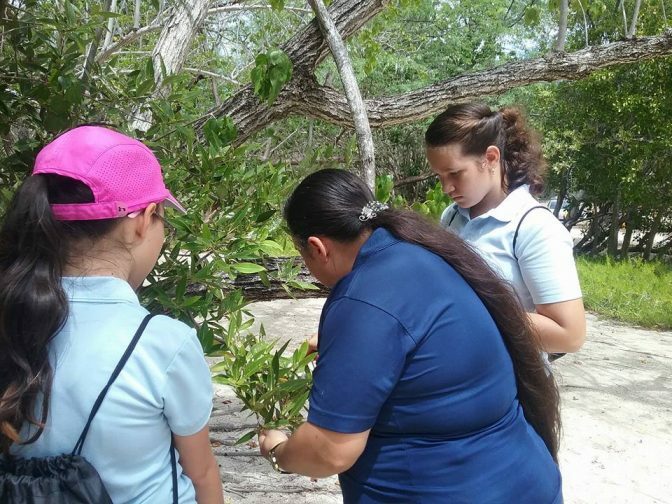 When we spoke about mangrove trees, several students remembered this story and its characters. 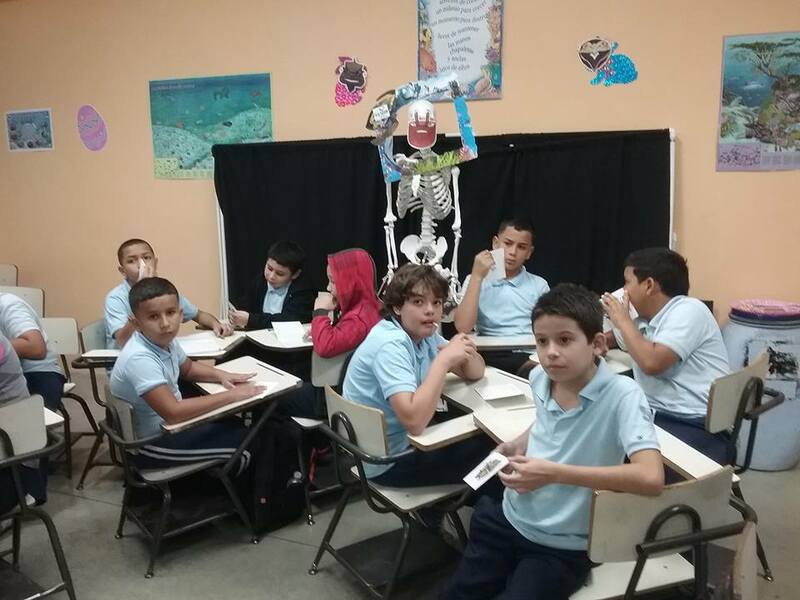 As a matter of fact, the teacher still had the protagonists’ masks decorating their classroom. 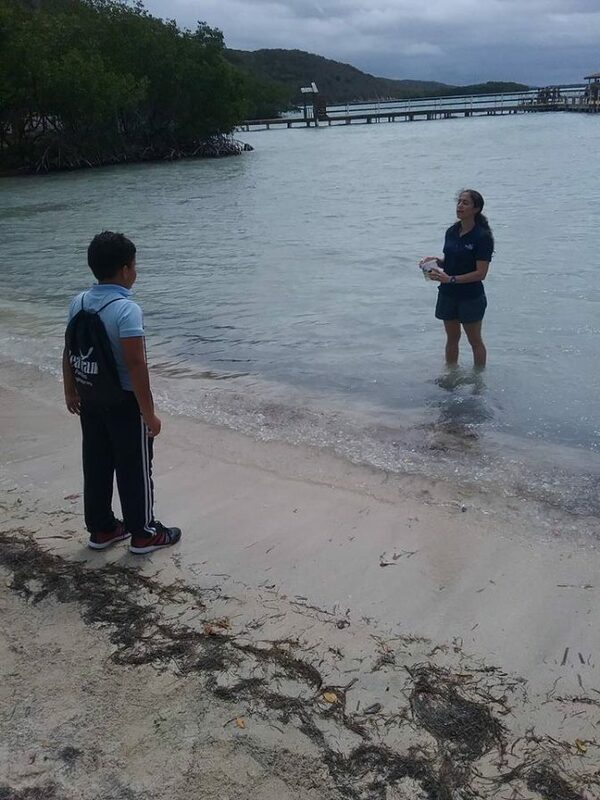 That day, we went to the schoolyard to play the game about the seagrasses and their importance, a game the students enjoyed very much. 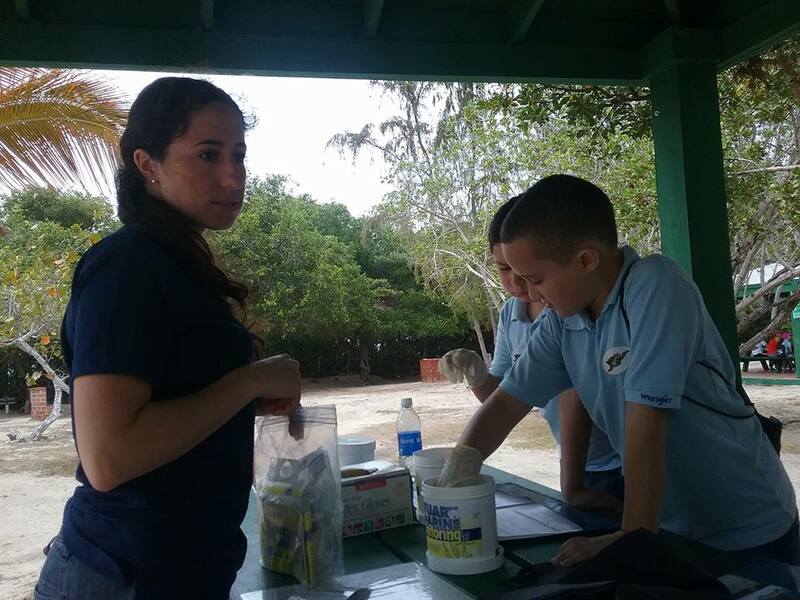 They also observed the sea turtles and coral samples we showed them. 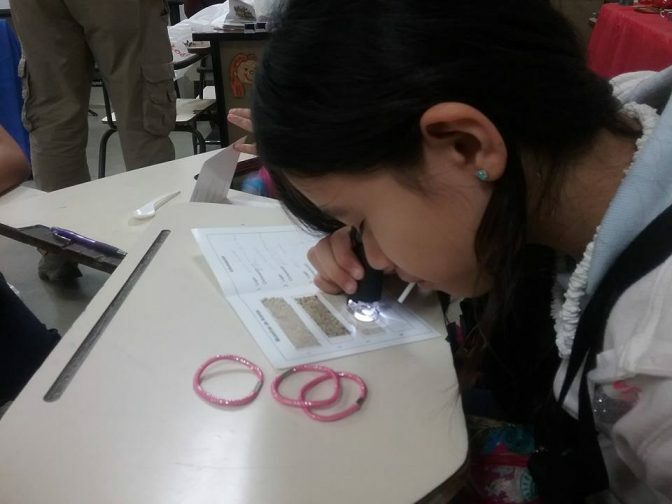 To finalize, they analyzed several types of sand and used field microscopes, an instrument which immediately captured their attention. 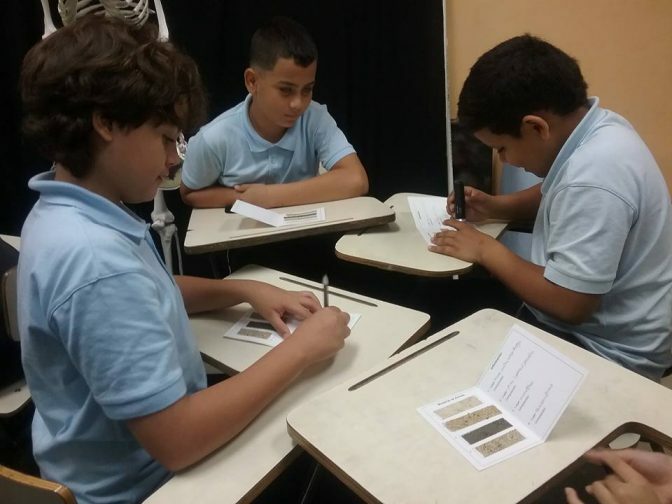 The students behaved very well and showed great interest in the subjects under discussion. 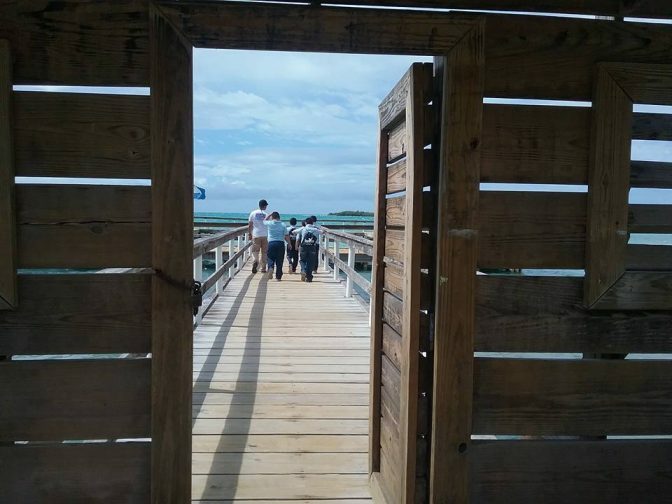 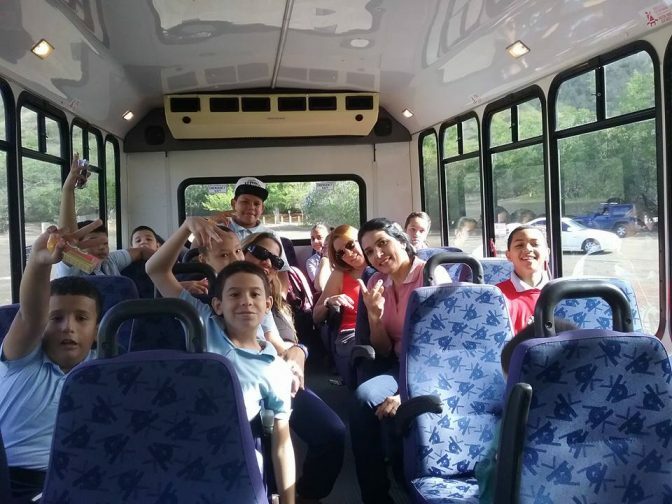 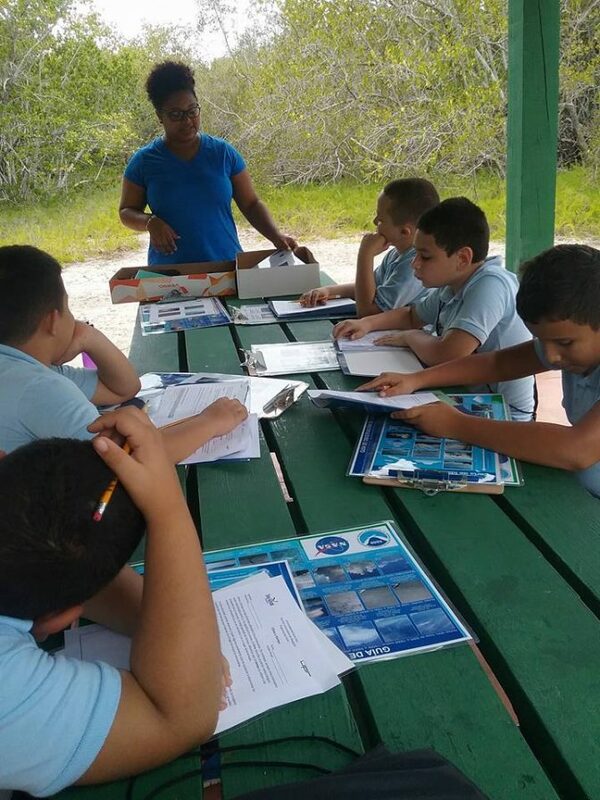 Later on, these same students visited Playita Rosada, in La Parguera, Lajas, on Friday, April 1st, 2016. 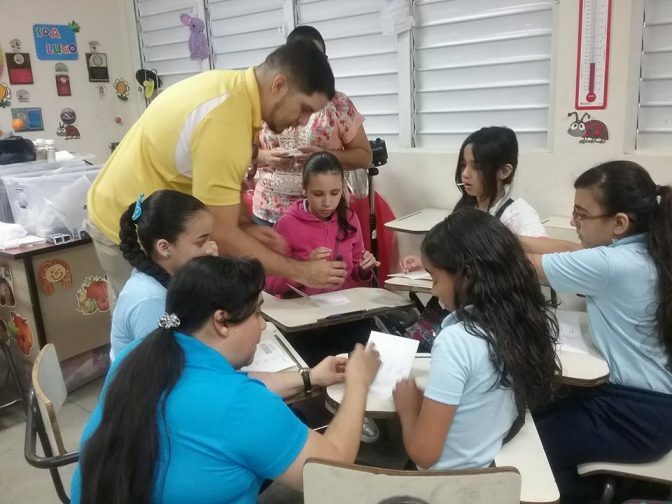 Once there, students were divided into groups so they could participate in each station we offered. 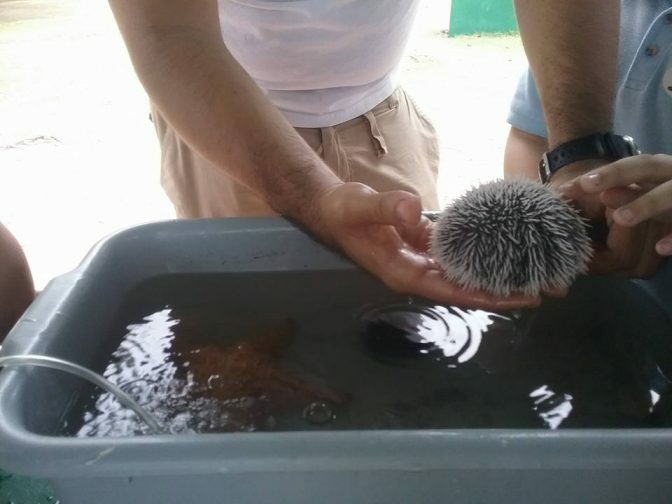 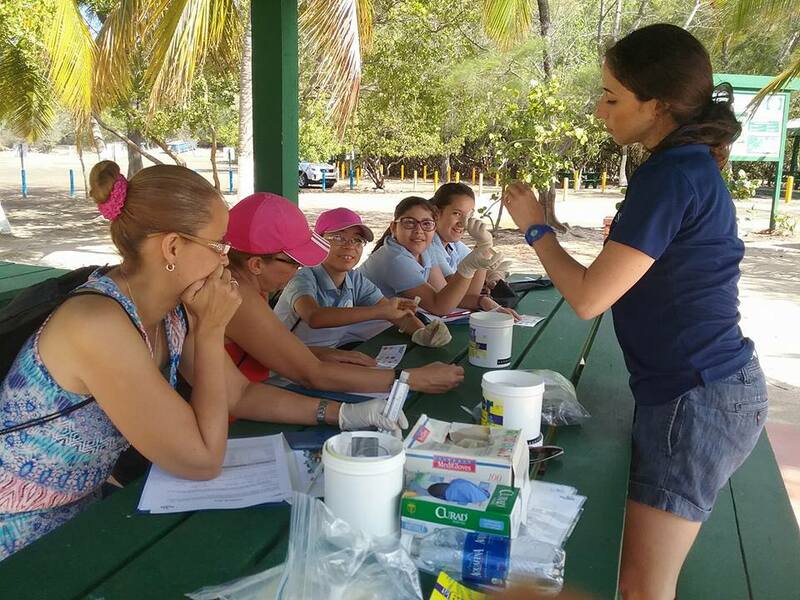 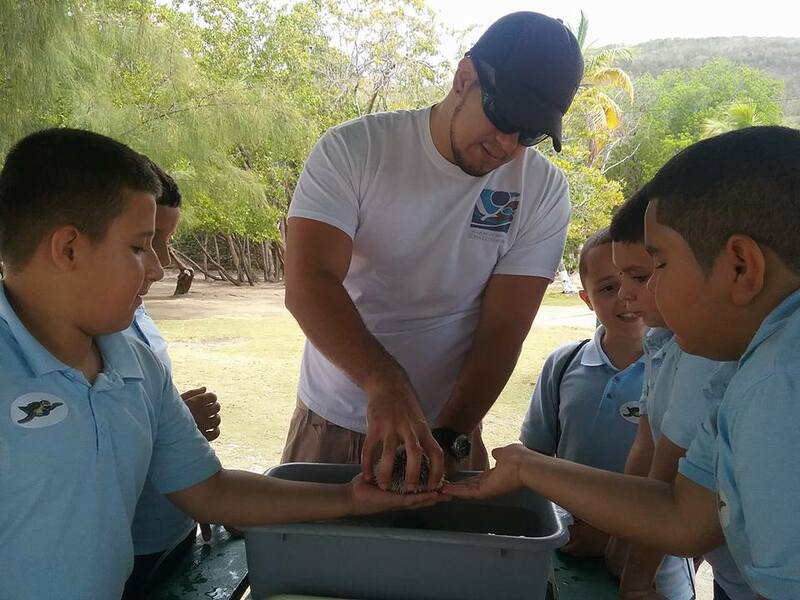 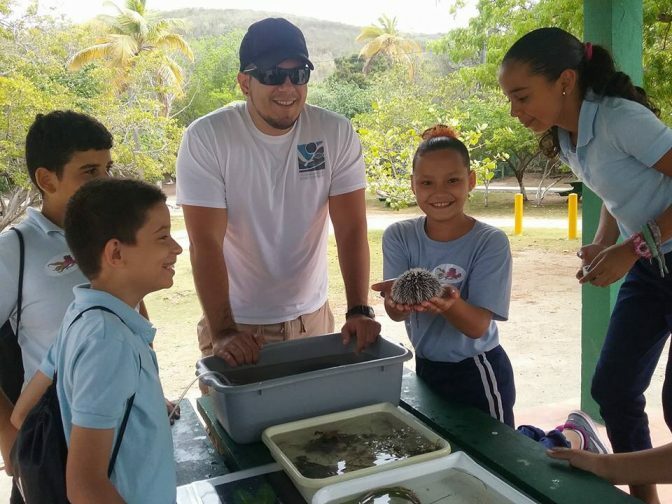 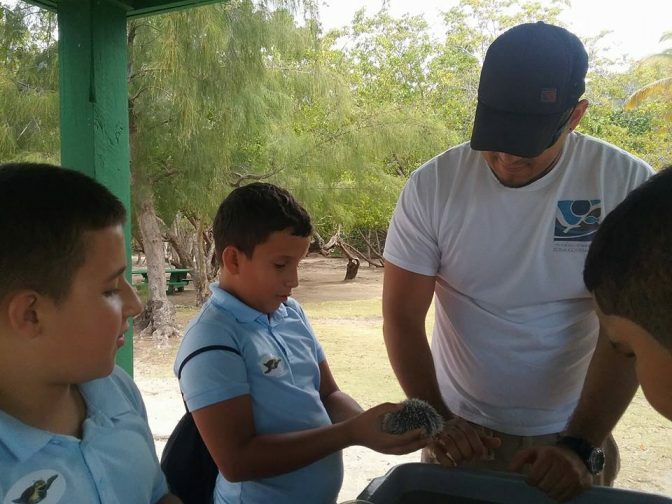 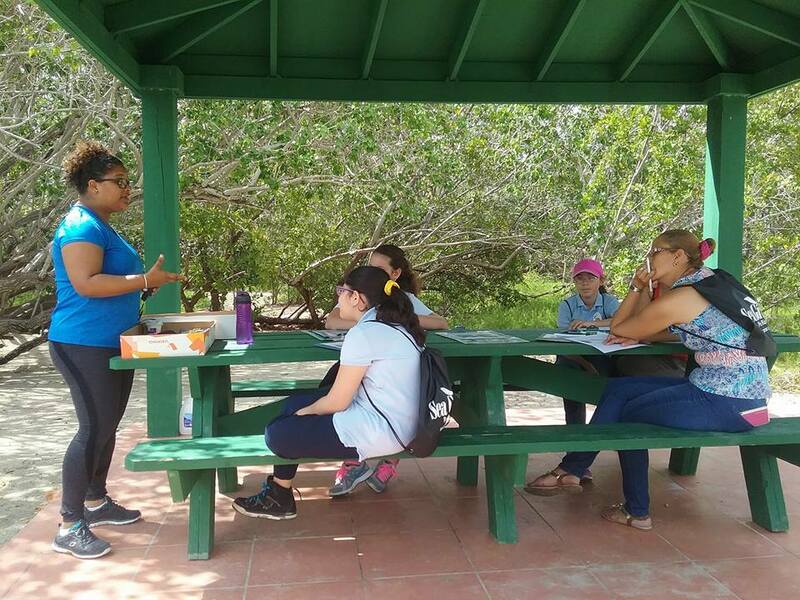 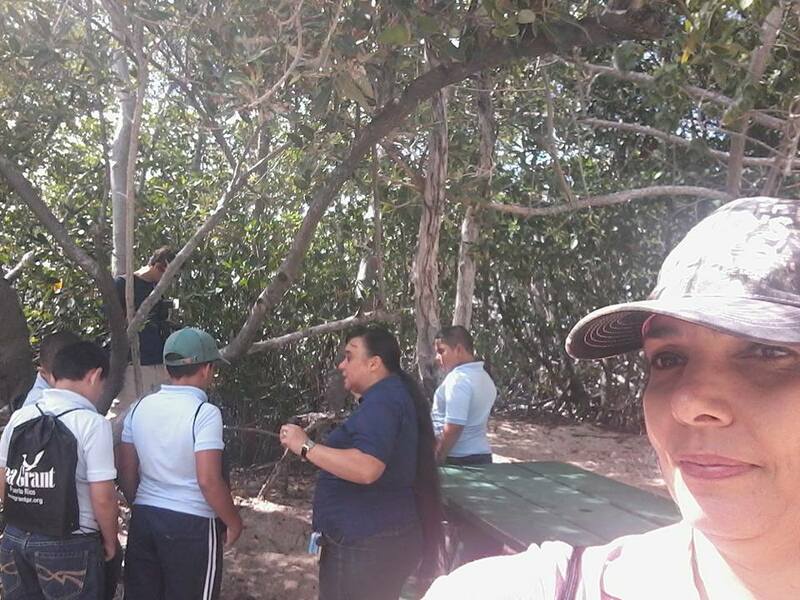 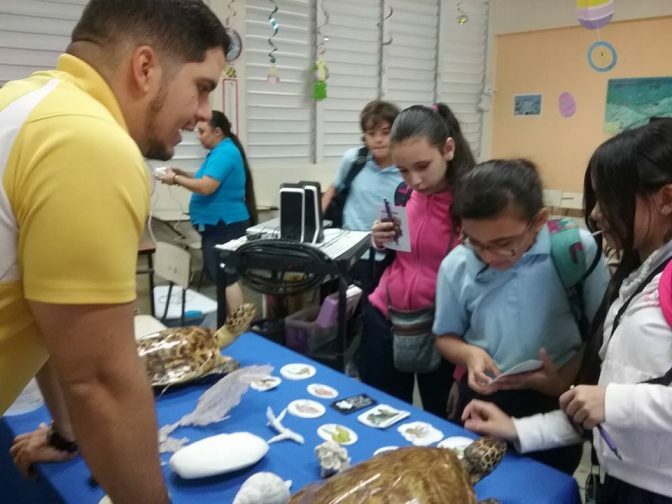 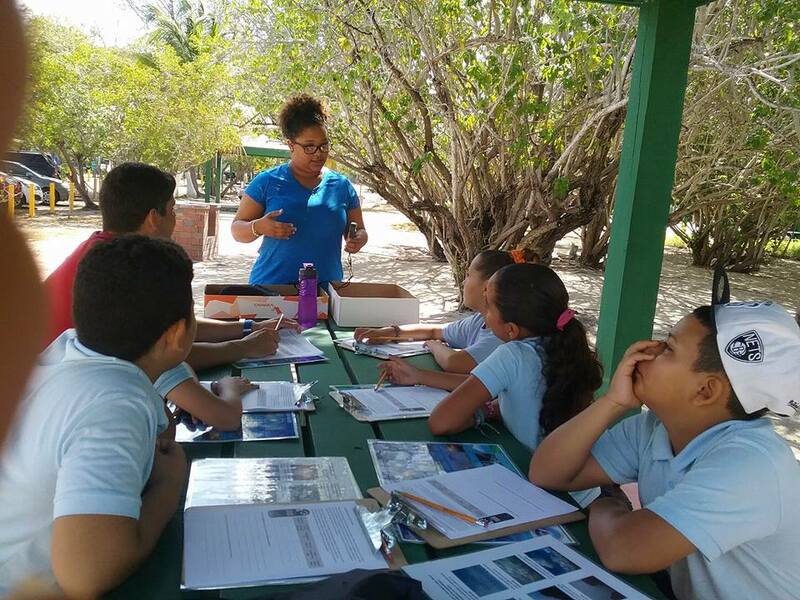 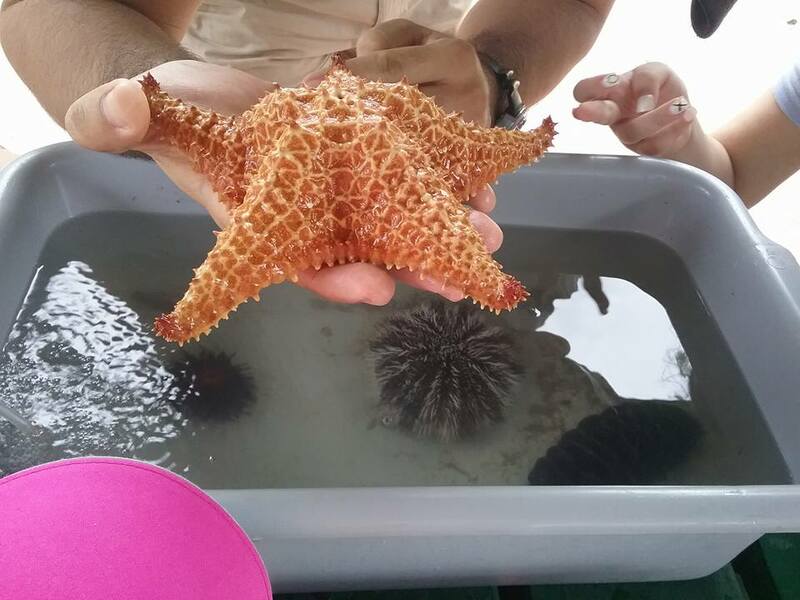 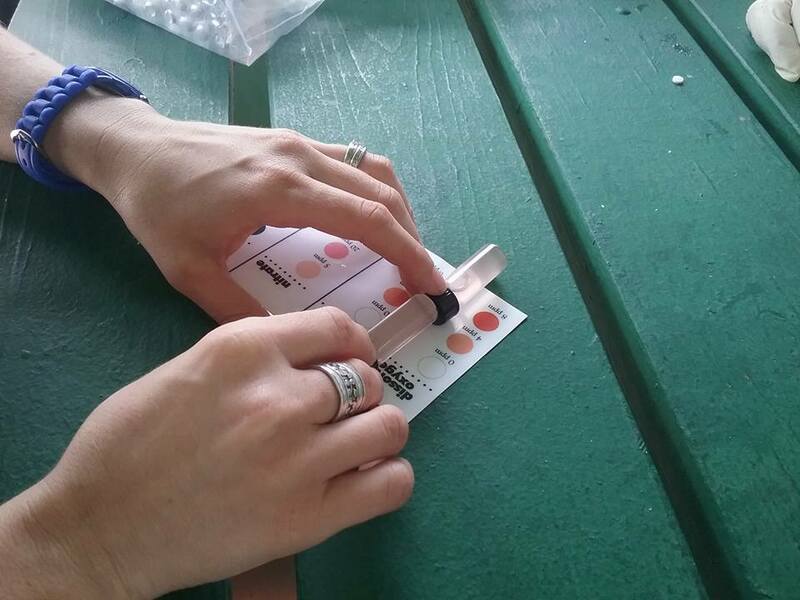 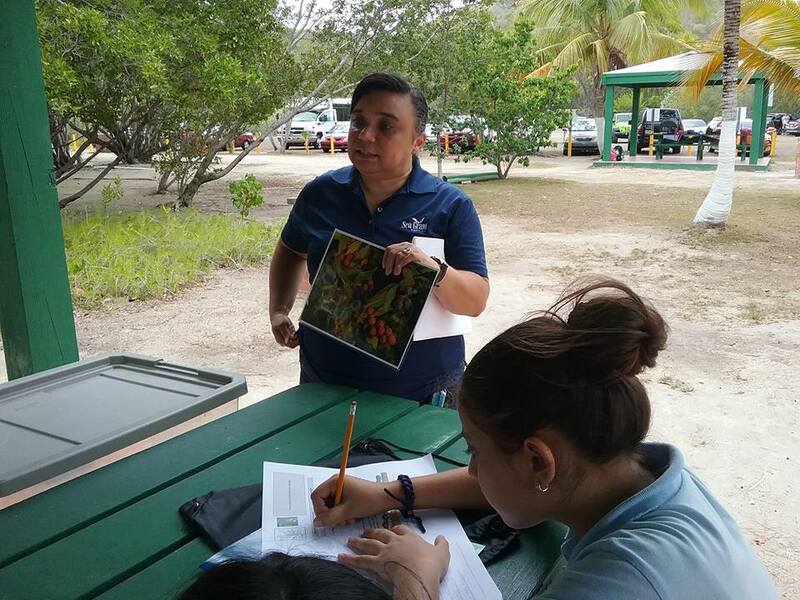 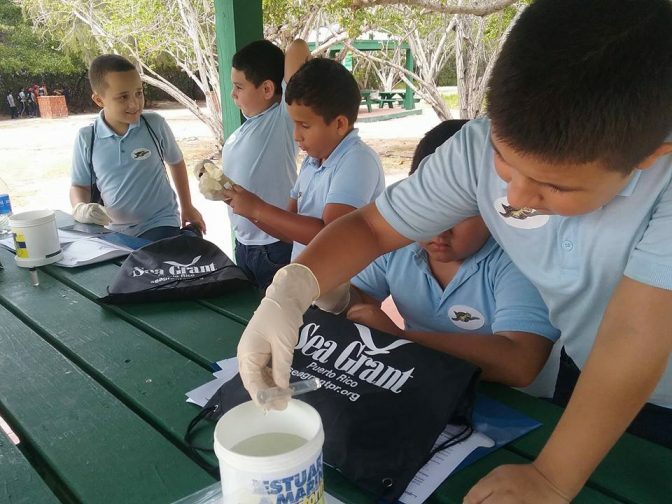 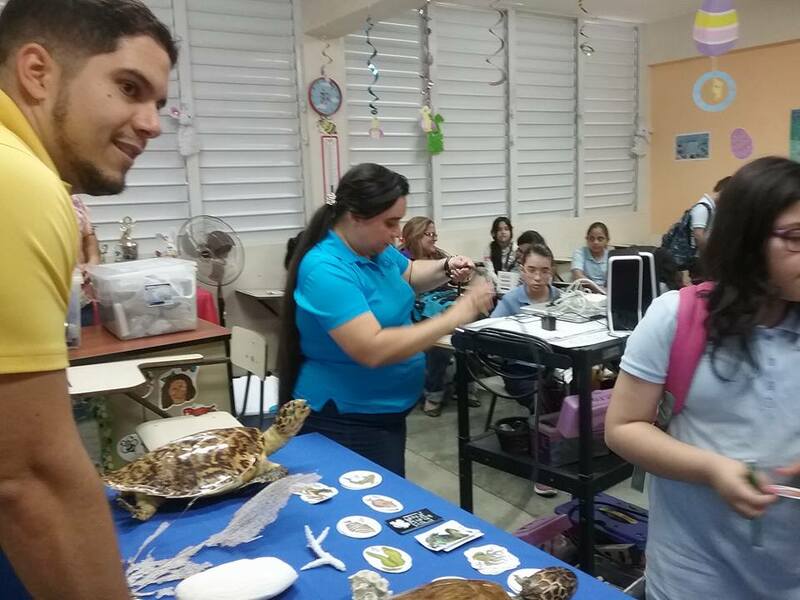 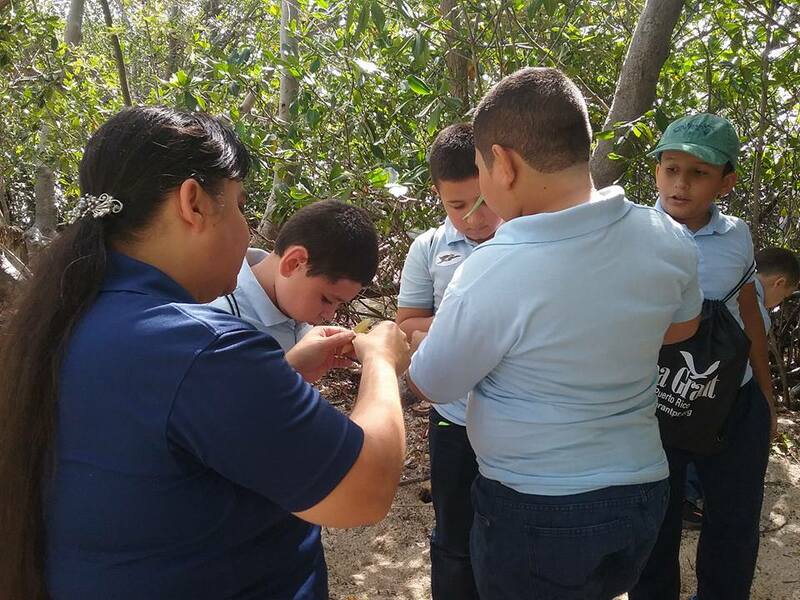 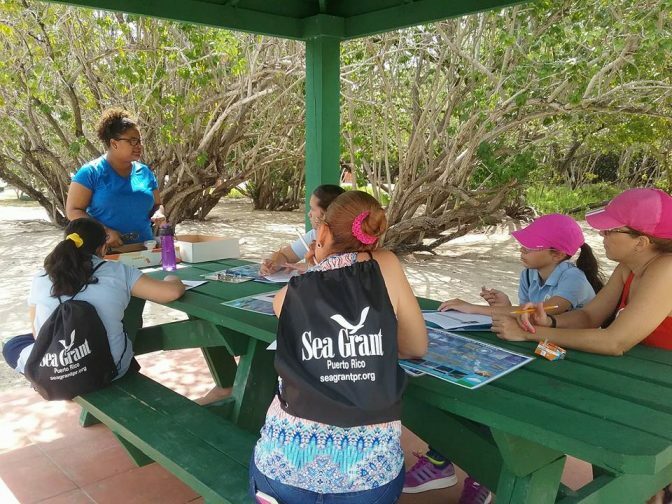 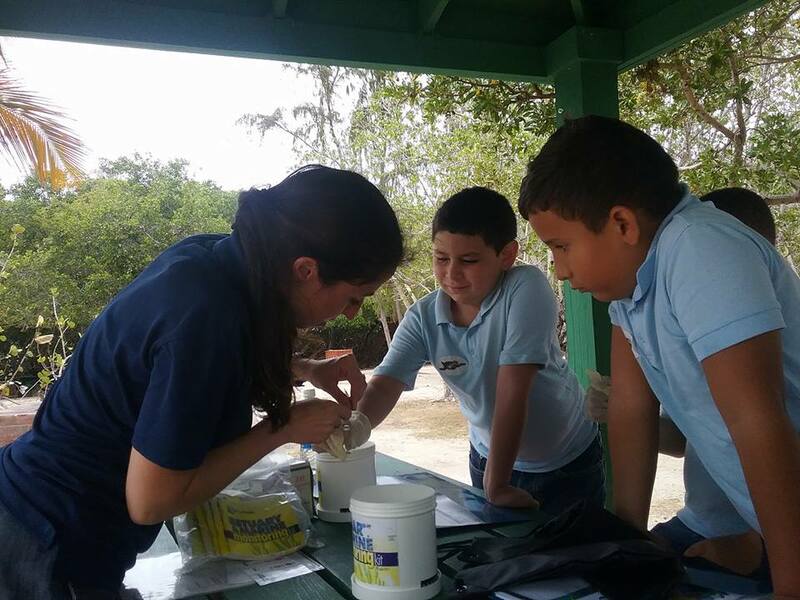 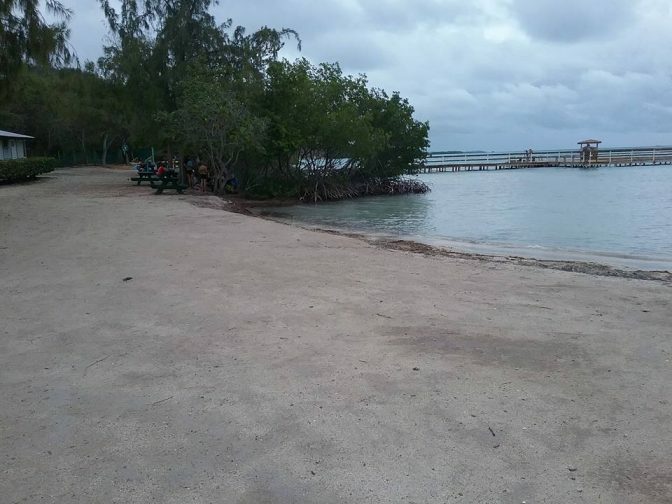 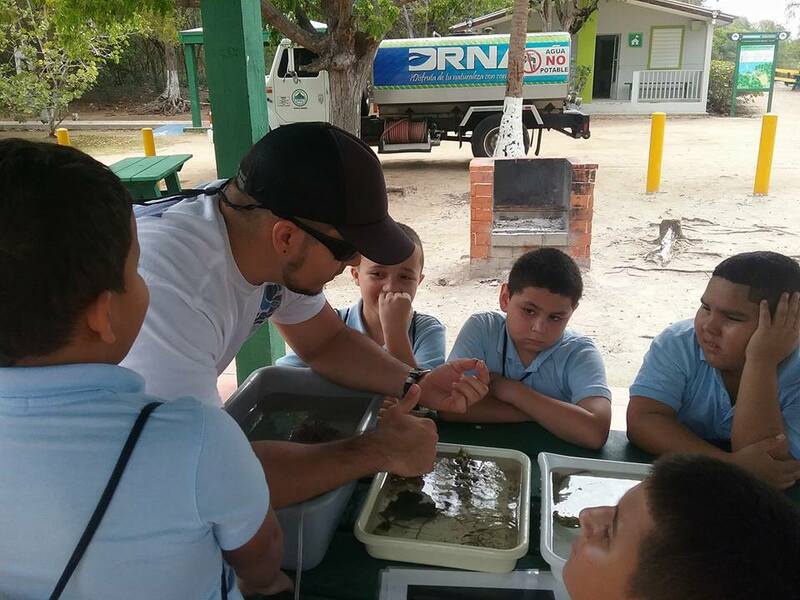 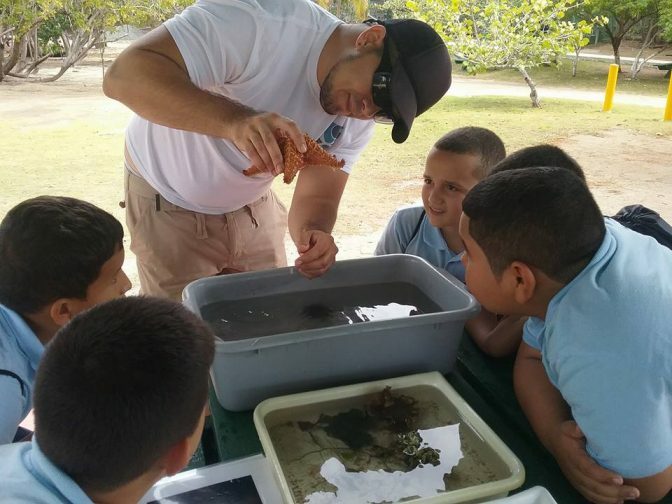 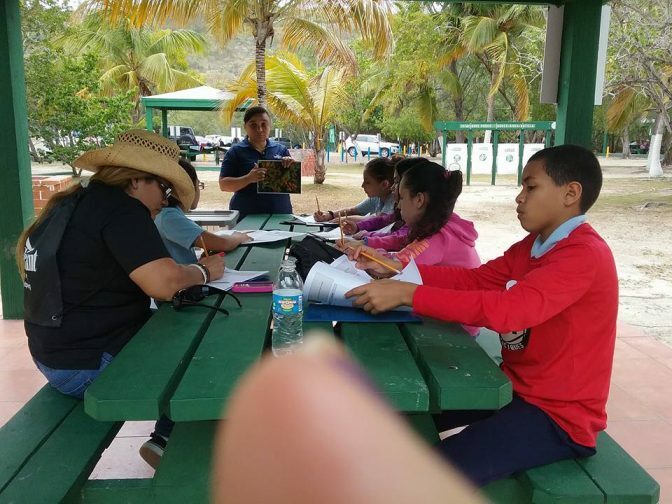 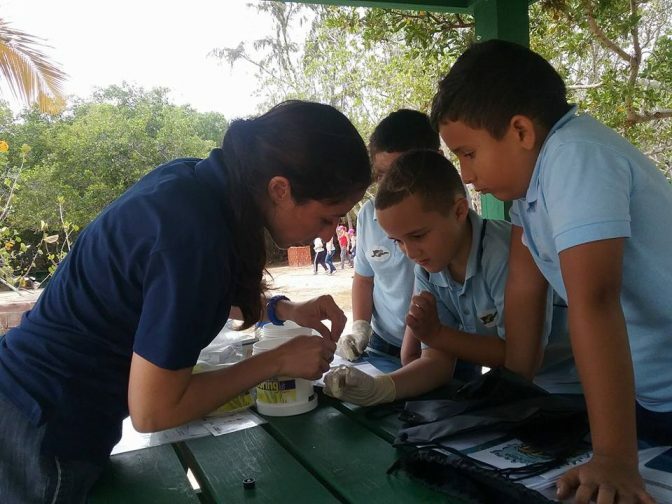 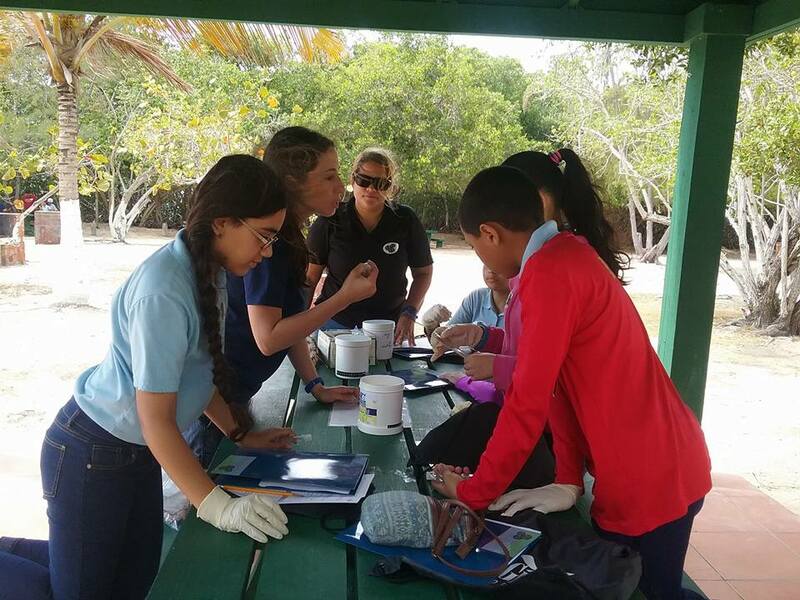 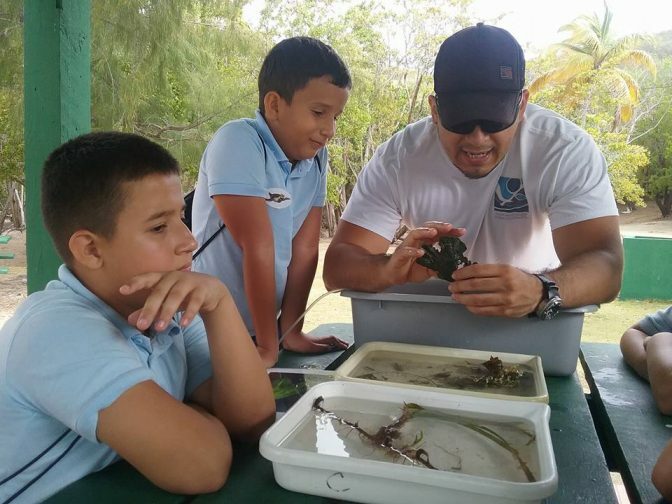 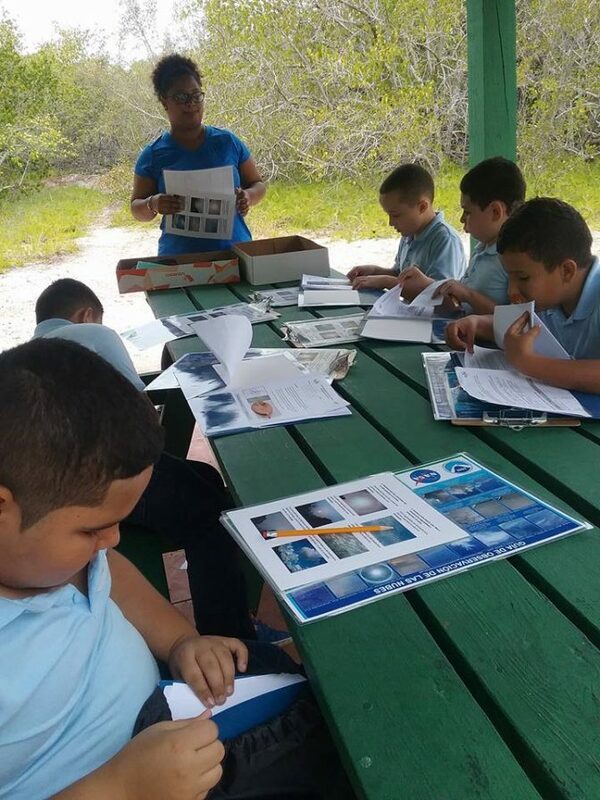 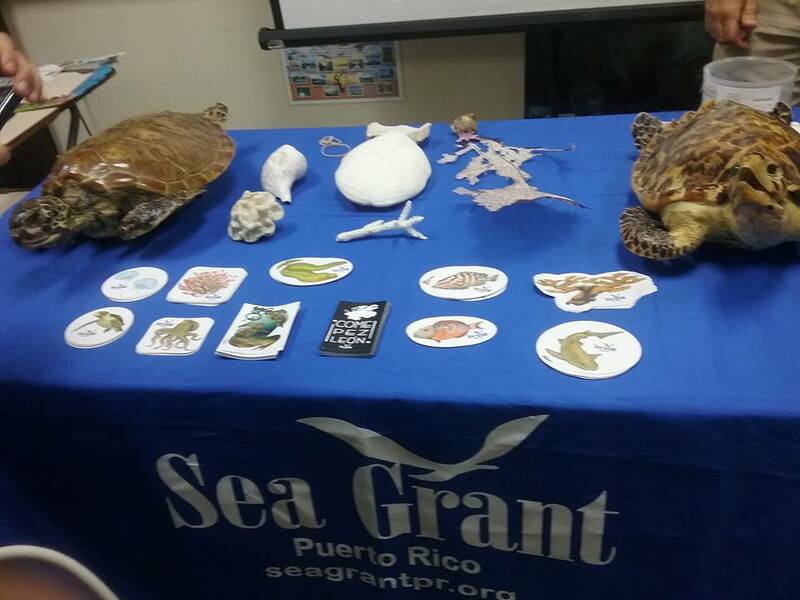 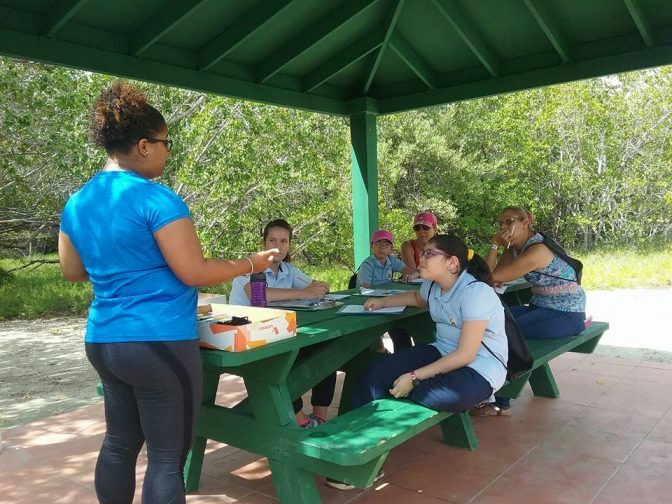 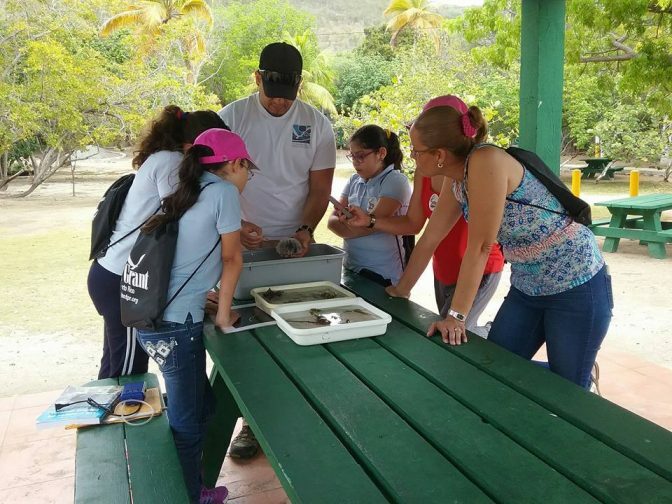 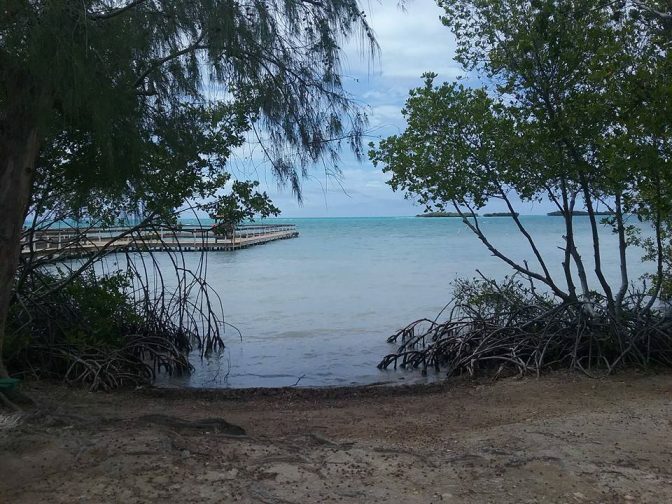 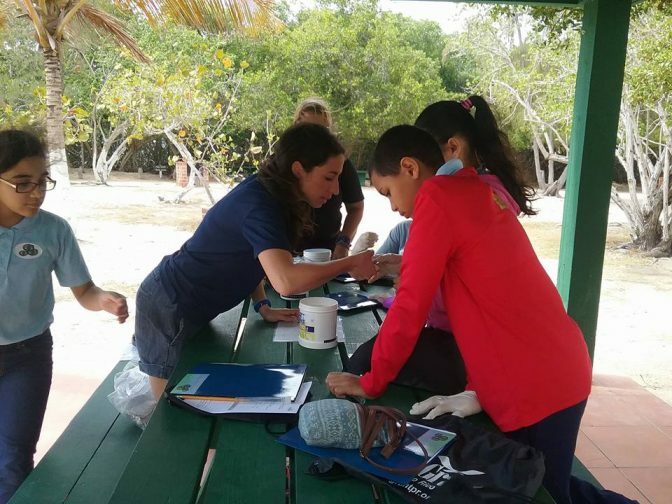 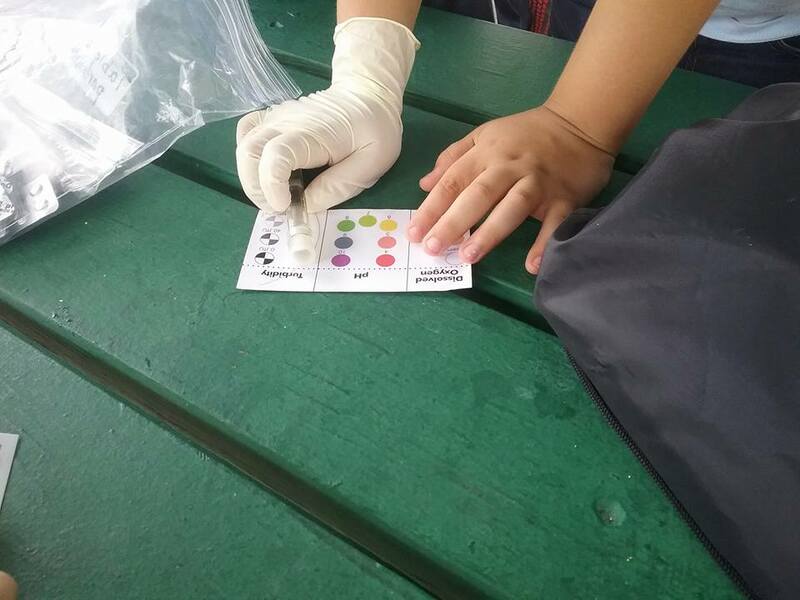 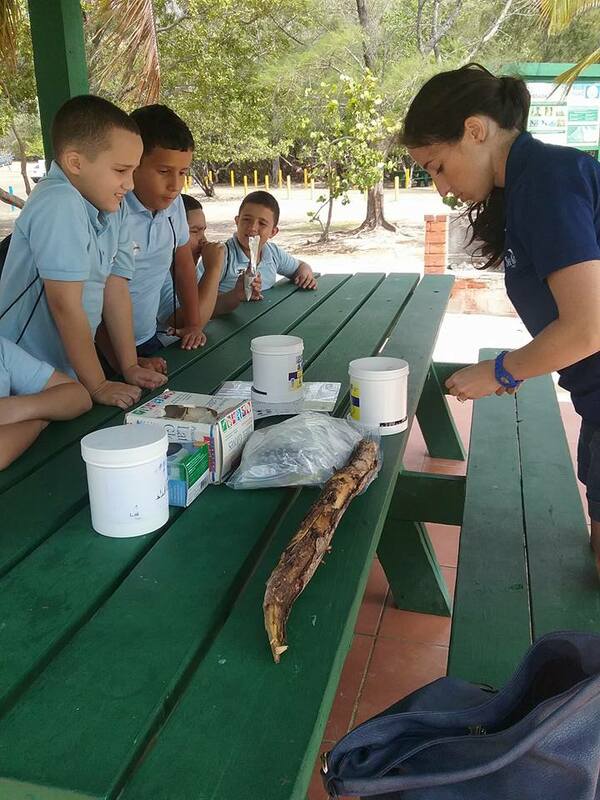 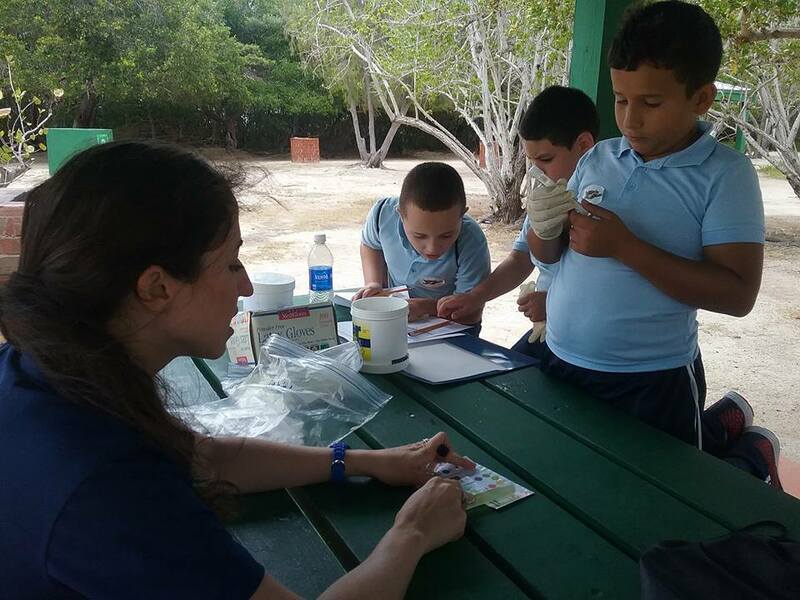 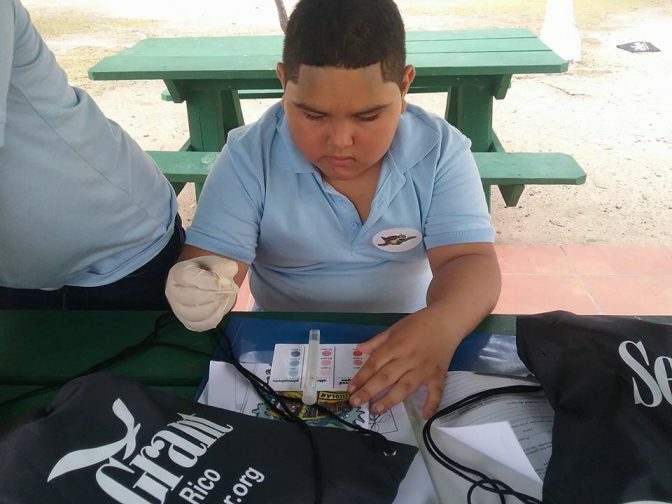 These stations dealt with several activities: performing water quality measurements, observing and manipulating marine invertebrates, analyzing weather conditions, measuring water turbidity, and making a sample sheet cataloguing the different mangrove tree leaves. 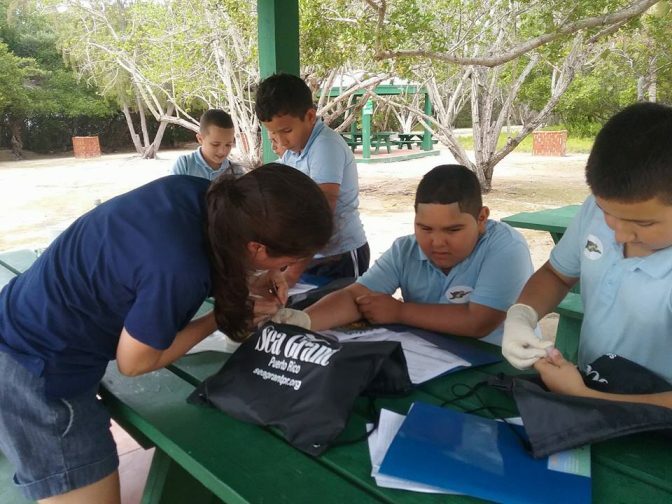 It was a very enriching experience for them.